Sashco’s Lexel Flexible Caulk is the “duct tape” of all caulks. This super-elastic sealant offers superior adhesion and it’s paintable. It seals around anything: tubs and show stalls, sinks and counter tops, window frames and doorframes, and PVC and metal pipes. Apply this waterproof caulk to wet or dry surfaces, indoors and outdoors. It’s tough and it can handle up to 400% joint movement. For a scrubable caulk that sticks to almost anything, choose Sashco’s Lexel Flexible Caulk. 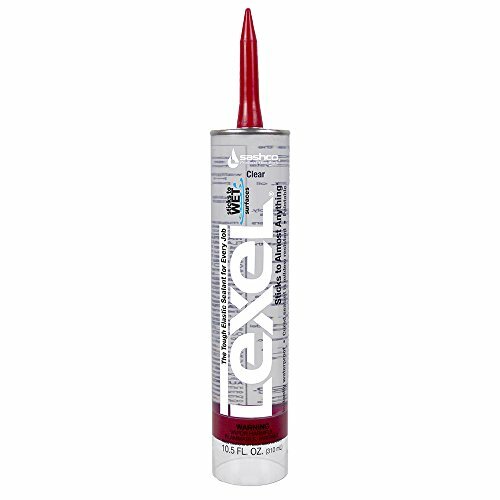 Lexel Caulk is 19 times clearer than silicone and it won’t cloud up or yellow over time. It doesn’t let you down. This bathroom and shower caulk is a cured sealant that’s mold and mildew resistant. It can be applied today for use today, and it won’t freeze so feel free to leave it in your truck or garage overnight.